(JNS.org) Following announcements in July that Japan’s Mitsubishi Tanabe Pharma Corporation (MTPC) would acquire the Israeli pharmaceutical company NeuroDerm for $1.1 billion, the companies announced the deal’s finalization Wednesday. 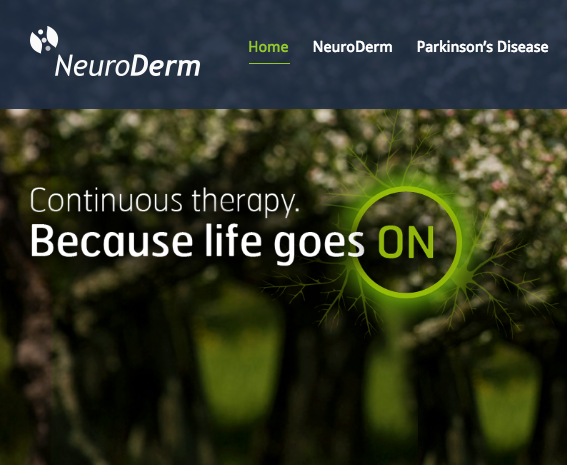 The NeuroDerm website. Credit: NeuroDerm. The deal—part of MTPC’s business strategy to grow its U.S.-based operations—is the largest-ever acquisition of an Israeli healthcare company. The Japanese company announced NeuroDerm’s delisting from America’s Nasdaq stock exchange, and said shareholders in the Israeli company would be paid $39 per ordinary share. Founded in 2003, the Rehovot-based Israeli pharmaceutical company specializes in developing new drug delivery methods and devices for central nervous system disorders, and hopes to launch two new groundbreaking products during the next two years. “We believe that this transaction will yield important benefits for NeuroDerm’s shareholders and the Parkinson’s disease patients that urgently need new therapies,” said NeuroDerm CEO Dr. Oded Lieberman following the acquisition announcement in July. “MTPC has demonstrated development and commercialization expertise in the field of neurology and we are confident that the combination of their resources and the robust data…will help make this important new therapy available as broadly and rapidly as possible,” he added.